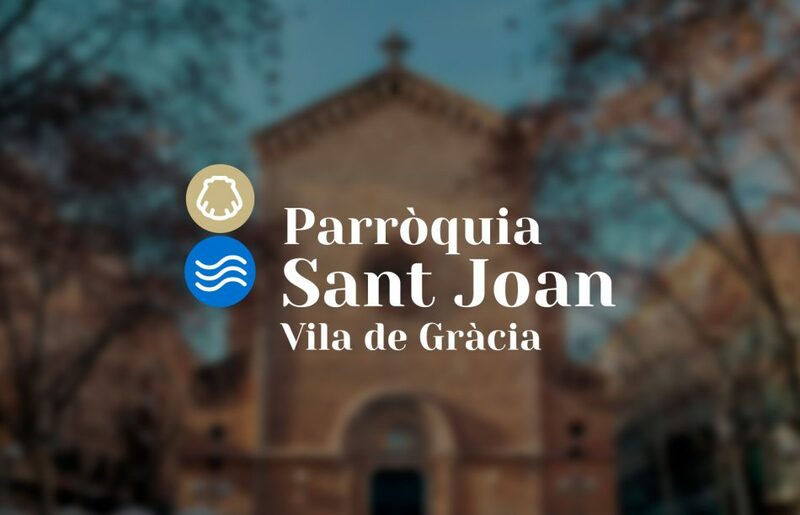 Logo design for the Church of Sant Joan de Gràcia, evoking the patron saint of the church, Sant Joan Baptista. 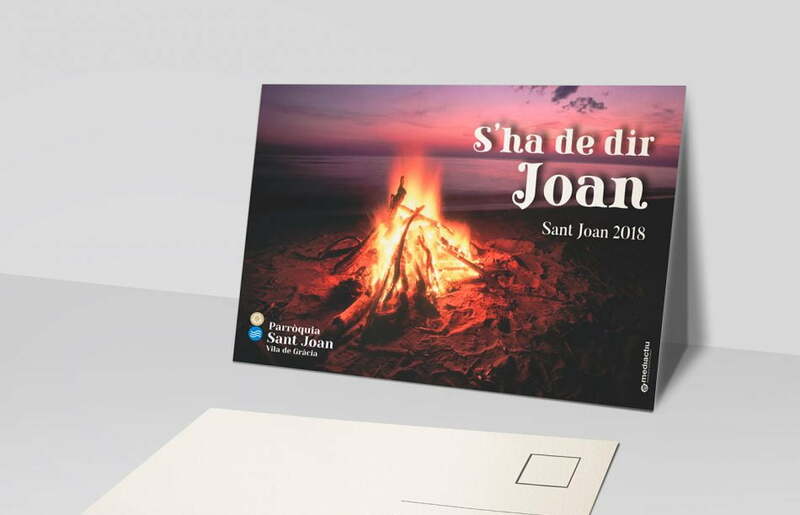 The Branding shows the icons of the two elements used by Sant Joan to perform the baptism (water and a shell) these elements are reinforced by their representative color and combined with a formal typography. 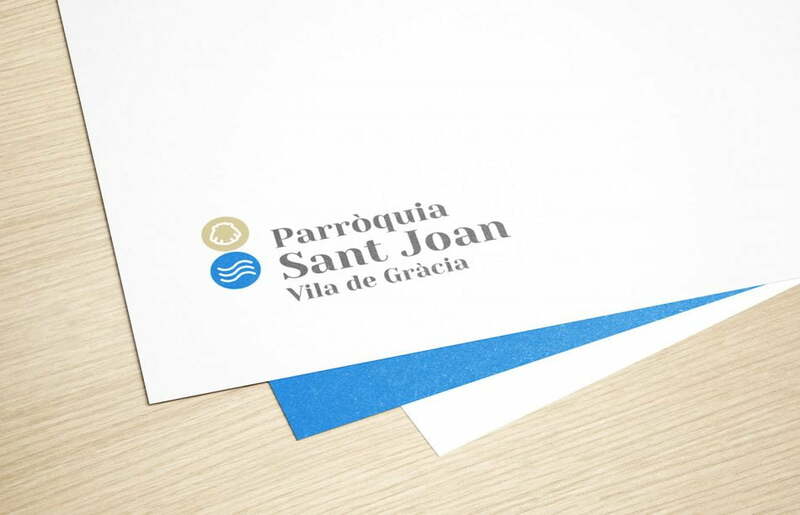 These elements, all together, create a consistent brand for the institution. 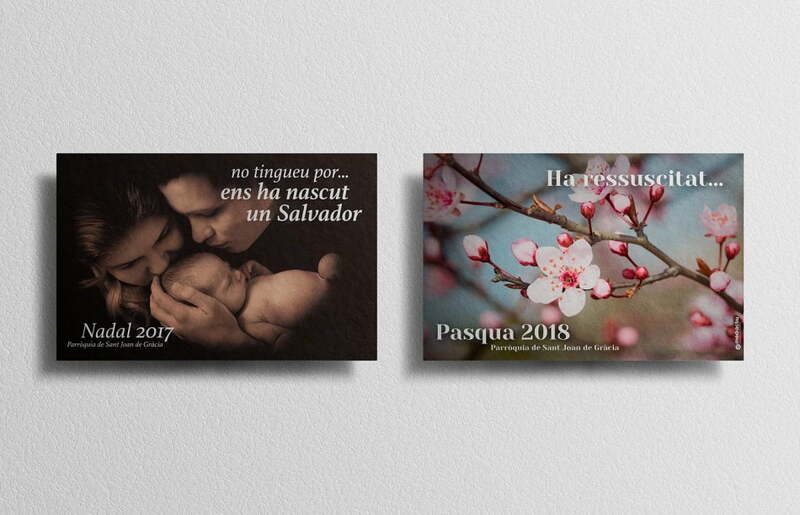 For the Church, different elements of communication with a contemporary style that approaches to the current society have also been developed, all with new logo.